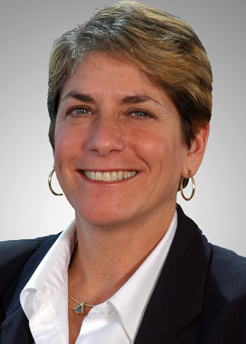 Harriet Cooperman focuses her practice on representing management in a wide variety of labor and employment law matters. Her clients include domestic and international public and private entities across a broad range of industries, including but not limited to manufacturing, financial services, professional services, healthcare, insurance, legal, consulting, technology, construction, entertainment, wholesale, and retail, as well as governmental entities and nonprofits. Harriet has litigated numerous labor and employment cases, both jury and non-jury, before courts and administrative agencies around the United States, covering a wide variety of issues, such as non-competition and trade secrets, employment discrimination, sexual harassment, NLRA matters, wage and hour and wage payment, employment torts, and ERISA. In 2007, she appeared as an expert witness on Maryland restrictive covenant law before the High Court of Justice in London, England. Her opinions and analysis were cited by the Judge as being critical to his decision. Harriet regularly provides advice and counsel to management clients on the broad array of labor and employment law issues. Harriet is the Vice Chair of the Maryland State Higher Education Labor Relations Board, and has been a member of the Board since its inception in 2001. She originally was appointed to the Board by Governor Parris Glendening and reappointed to successive terms by Governors Robert Ehrlich and Martin O'Malley. Harriet has been an Adjunct Professor of Law at the University of Baltimore School of Law, where she taught traditional labor law and employment discrimination law. She frequently speaks on various labor and employment topics, and has presented at programs sponsored by the National Labor Relations Board, the National Academy of Arbitrators, the American Bar Association, and other professional and scholarly programs. Harriet also has written extensively on such matters. Bringing Your Medical Device to Market: How Can Saul Ewing Help?